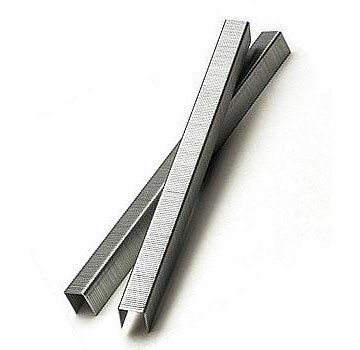 PRODUCT: Senco Type C-Series / Type 71 Staples. Fine Wire 22 Gauge 304 Stainless Steel, 3/8 Crown, 3/8 Leg. Packaged 1000/Blister Pack. 8 Packs/Box (8,000/Box). Price/Box. APPLICATIONS: Upholstery, Lumber Tagging, etc.